Kia Motors previewed a range of new technologies developed for the post-autonomous driving era at the Consumer Electronics Show (CES) 2019 that held in Las Vegas this week. 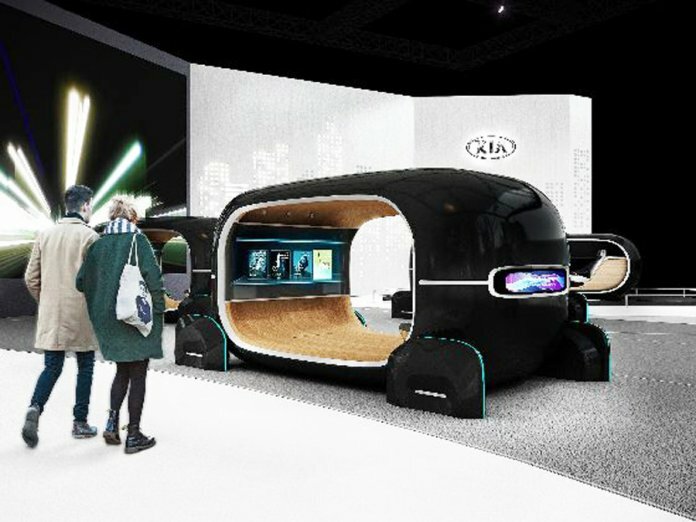 Building on the brand’s ‘Beyond Autonomous Driving’ vision for connected vehicles presented at CES 2018, Kia is looking ahead to a time when autonomous driving has become the norm with an interactive ‘Space of Emotive Driving’ exhibit at this year’s show, the automaker said in a statement. Kia had specially-designed experiential modules installed at its CES booth to demonstrate the potential of the R.E.A.D. System. For the first time ever, the public will be able to experience vehicle technology that recognizes their physiological emotions based on facial expressions, electrodermal activity, and heart rate. Visitors to CES will be able to witness the sensory controls react in real-time to their changing emotional state. Kia also presented a potential solution for smart-city mobility at CES 2019 with its ‘SEED Car’ concept. The ‘SEED Car’ is a four-wheel electric cycle with a range of 100 km (62 miles) based on a pedal-electric hybrid system, requiring pedal input from the driver but with a high degree of electric power assistance to make it effortless.